Symphony has already become one of the largest mobile phone vendor in Bangladesh. After all the other budget phones on the market it now targets Smartphone market as well. That's why they release 3 Android running smartphones at a time. Among these three Symphony W10 is the cheapest one. Its price is only 7490 taka which is lower that $100. There is lots of mobile application on Symphony Xplorer W10. The main operating system is Android 2.3 Gingerbread. Android market, Facebook, Twitter, YouTube, Office suit, talking tom and many more application are available on Symphony Xplorer W10. And you can also download many others software from the Android market (currently known as Google Play Store) by FREE. 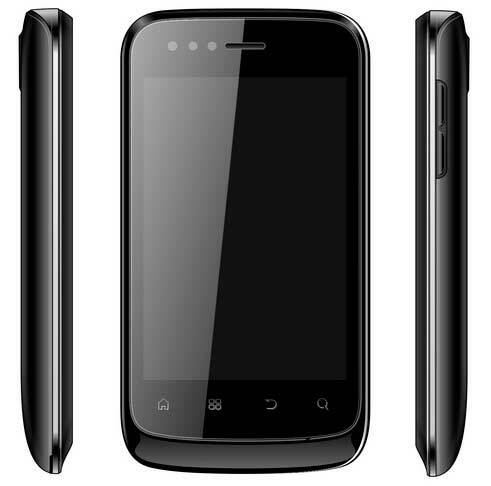 The main technical feature of Symphony Xplorer W10 is it has a 800MHz CPU, user available ROM 528 MB, RAM 128 MB and 32GB extended memory card. You can get 4GB memory card free with every W10 handset free. Battery capacity 1300mAH Lithium Ion Battery. Symphony W10 has dual camera on board. Now time look at the complete feature list of Symphony Android W10. Always keep in mind that it’s the cheapest Android phone in the world! Though Symphony W10 has some lacking of problems but you must admit it its price is almost half of every other Android device under this kind of feature range. Within $90 you can never expect anything better than this. After all it’s an Android smartphone guys. So if your budget is low and you are looking for an Android smartphone then Symphony Xplorer W10 will the only option for you right now on the Bangladeshi market.